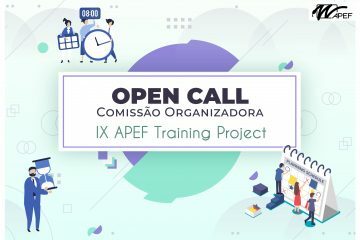 The APEF Training Project (ATP), which is now on its fifth edition, increasingly reveals itself as a leading event for Pharmaceutical Sciences students, not only because it increases the team spirit required upon entry into the market, but also because it promotes the relationship between students from other geographic quadrants. This year, the V edition of this programme is being organized by a representative group of the Students´ Association of the Faculty of Pharmacy, University of Porto (AEFFUP), jointly with the Portuguese Association of Pharmacy Students (APEF). The V ATP will be taking place at the most noble city of Porto, between the 9th and the 13th of September 2015 – this year with another day added to the edition! 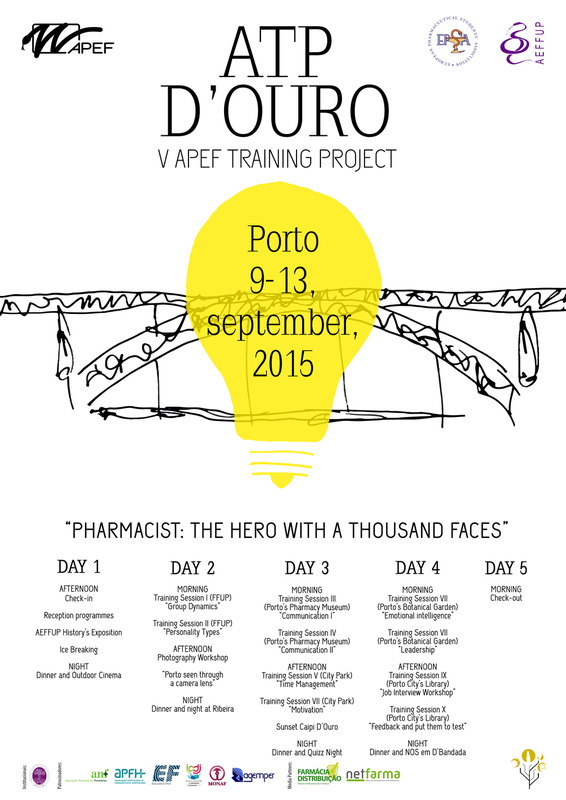 With the Theme “Pharmacist: The Hero with thousand faces” we cannot miss this opportunity to attend it ! There are only 7 positions available for non-portuguese students! Registrations are open from the 18th to the 21st of august. To register, please use the following link and provide the required information. How to get there: you can get to Porto by flight (Airport of Oporto) or by public transportation from the airport of Lisbon. You can pay either bank bank transfer or Paypal transfer (carefully analyse the guidelines provided). After registering, you have 48h to make the payment. To confirm the payment, you have to send a printscreen of the confirmation (using paypal) or a scan of the confirmation of transfer (bank transfer) and send it to treasurer.atp@apef.pt.